We are a leading Manufacturer of barcode label printer, desktop barcode printer, zebra barcode printer and portable barcode printer from Mumbai, India. Operating Humidity 5-95% non-condensing R.H. Storage Humidity 5-95% non-condensing R.H.
Print Speed 5" (127 mm) / sec. 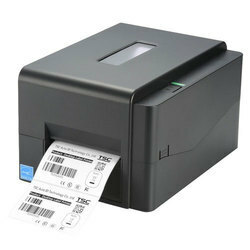 Zebra’s compact GK420t™ high resolution direct thermal and thermal transfer printer produces sharp, high-quality text, barcodes, graphics, & offers flexible connectivity. The GK420t desktop printer comes equipped with ZPLII, the universal language of Zebra printers, which ensures easy integration into existing systems that run Zebra printers without the need for additional software. 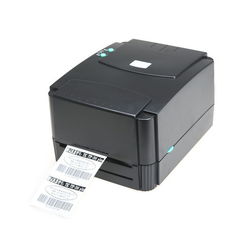 It’s easy to print labels and tags with text, graphics, and a wide range of bar codes. 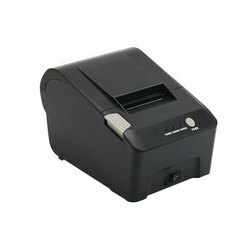 This 203 dpi label printer is designed for a wide variety of industry applications. A reliable, low maintenance printer which features permanent downloading of label and tag formats, soft fonts and graphics. You get faster throughput when and where you need it. We provide a full range of thermal transfer ribbons, labels, and supplies for your Zebra printer. We also offer a wide range of software products to meet different needs.